In 2018, China’s coke market experienced ups and downs, and the overall trend was still upward. The production restriction tended to be normalized due to environmental protection inspection. In addition to the stagger production in the heating season and production restriction in the non-heating season, which had been implemented since 2017, the new policy of “Make our skies blue again” was released in 2018, and the environmental protection inspection became more stringent. The steel industry was still in the stage of eliminating overcapacity. The demand for steel was stable, leading to the handsome profit at steel mills. The coking coal prices ran steadily. The profit margin was considerable in coke industry. The operating rates were relatively stable in coke enterprises. Besides, more and more enterprises began to pay attention to the role of futures investment in hedging and risk hedging. Coke futures prices reached historical highs, and the overall trend was promising. In 2019, the coal and steel industries will continue to implement the supply-side structural inform, and the coke industry will continue to eliminate the backward capacity. The fundamentals are still the decisive factor in the spot market, and the environmental protection will be one of the most important factors restricting the supply and demand of coke. The normalized environmental protection inspections and the elimination of overcapacity will result in the supply reduction of coke. With the gradual execution of the long term pricing mechanism, the upstream coking coal prices will tend to be stable. With the elimination of overcapacity, the steel output will maintain stability, and the demand for coke will also remain steady. The supply-side structural reform and elimination of overcapacity policy will promote smooth running of the coke and steel industry. How will the coke futures and spot markets develop in 2019? With improvement of the business models of coke enterprises, the coke enterprises will attach more importance to the elimination of backward capacity and futures arbitrage, and the profit margin will enlarge further. SCI has been engaged in the research of the commodity market with the independent third-party perspective for 14 years. 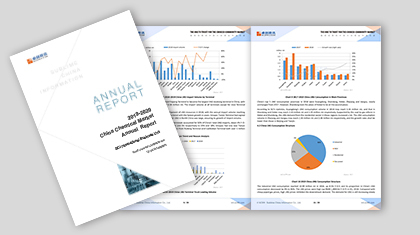 2018-2019 China Coke Market Annual Report will deeply present the current status and policy influence of the coke industry, directly focus on the changes of the coke fundamentals, roundly analyze the supply and demand pattern, and interpret the co-movement between the upstream and downstream market, so as to help customers grasp the future market accurately. 1. To present the changes of domestic market by analyzing the supply-demand pattern of coke. 2. To make customers better understand the production status and development trend of domestic enterprises by providing the output in different regions. 3. To analyze the influence of the changes in supply and demand on the coke industry. 4. To objectively evaluate the conduction of industrial value chain by multi-angel analysis of price driving factors.